Due to the square nature the drag become the dominant restriction of any engine. The calibre is not a good example, that type actually a composition of a jet powered shell and a missile load.So it using two engine to do this trick. The granit/onix can fly in different altitudes by different speed, but they has variable air intake, and they using ramjet. And still, it can fly only with 1.5-2 match at sea level, and it can run with full 4 match speed at high altitude. It is safe to expect that the ziron hasn't got variable air intake OR variable internal geometry, and without that it can not fly with match anything, only with full speed defined by the altitude. The most probable is that the zircon fly a precisely pre-defined curve as it accelerate, to keep the mass flow constant, and after it flies at the same altitude, and if it reach the target ( or the fuel exhausted) it detach the scramjet, and dive to the target with match six. Without the scramjet it has quite small radar cross section. without complex engine it can not bleed out the excess air, and that can overheat /overpressurise the engine. In comments same source suggests 40km height. Which is definitely an issue for the 'suddenly appears above radar horizon only giving a few seconds response time' since that height has an over 800km radar horizon. I'd kinda assumed it was doing Mach7 near sea-level -> dangerous as heck. No! You forgot something Physics change a bit in supersonic and hypersonic area. The general drag will increase drastic to Mach 1, but after Mach 1 it fall again. And based on the shape of object it will fall under the value of subsonic area. The result can be heard by everyone, it's the boom of the supersonic barrier. As I said before, only for the formula you are right. But there are many sorts of drag and behaviour is different, depending on cw value in different speed areas (subsonic, supersonic and hypersonic). Hypersonic is again a bit different from supersonic! I do not know if anyone noticed, but shape of planes are different in subsonic, supersonic and hypersonic speed area!? Here is a example from NASA, but it's easy to find other graphs in the deepths of internet. 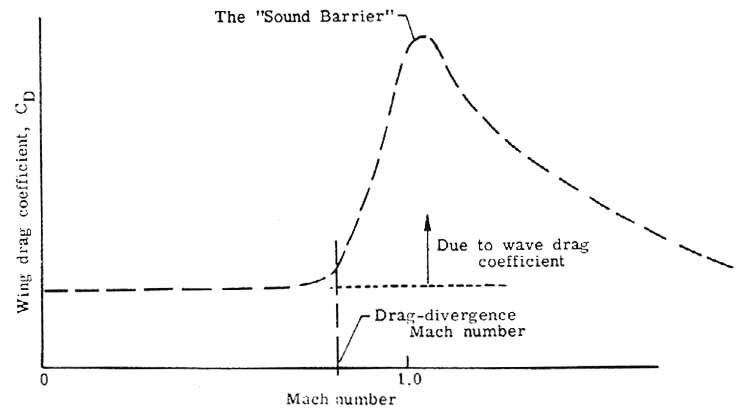 The drag coefficient changes from subsonic to supersonic! It depends on speed. So you can't easy say that you need 20 times more energy in lower altitude. For example the much heavier powered Zirkon would be slower with Mach 2 in lower altitude, than other less powered missile (same weight) that easy exceed Mach 2 in low altitude. For Zirkon it would be no problem to reach easy Mach 4 - 5 in low altitude, reaching far higher Mach numbers in high altitude. The equations to calculate speed, heat by friction, drag etc are in general very complicated for hypersonic area. It depends on so many factors we simply don't know, like exact shape and cw of Zirkon. But it will have the ability to fly low and fast (hypersonic). I posted a link somewhere before. I expect something around Mach 4 at low altitude and Mach 6 at high altitude. For economic reasons, accuracy and reliability I personal expect the Zirkon will not fly Mach 7 or above. But higher speeds are possible, the tests showed it. It is irrelevant for the zircon. The shown drag is in connection with the wing shape, and as the speed grow above match 1 it will be the same like in subsonic range. 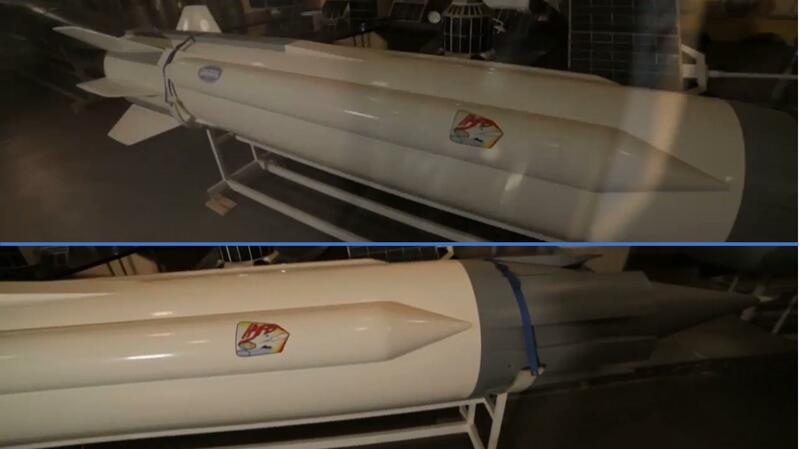 Means that the maximum speed defined by the air drag, and the minimum speed defined by the characteristic of the scramjet. Means that the zricon can't fly under 2 match regardless of whatever. And it doesn't address the concerns about the engine temperature/ pressure . Why it's irrelevant for Zirkon? In the equation we have a few variable! It's cw, the speed v and the density. Only the surface A is fix. And cw depends on density of air, speed and of course the shape of object. Don't forget, cw can be at Mach 2 be 2 to 4 times higher, than at Mach 4 or Mach 6, depending on the aerodynamic shape. Only at really high speeds, above Mach 4 it becomes more or less irrelevant. It's not that direct after Mach 1 it's at subsonic level. It's possible that at hypersonic speed the cw value can be under the value of subsonic speed, normal it's double. And we don't discuss the difference of subsonic and hypersonic, we discuss the difference of Mach 2 vs Mach 4 vs mach 6 etc. So the equation is a bit more complex, than it seems! Just take a look at hypersonic planes and supersonic planes, there is a difference! Both are optimized for their speed area. It's clear that a Scramjet MUST fly at supersonic speeds, normally above Mach 2 or it simply don't work. The wing drag is significant in the case if the aircraft has to be capable to fly under match 1.The most significant if the aircraft has straight wings. If it is intended to fly anyway by supersonic speed then the wing drag will be insignificant. The zircon never meant to be able to fly under match 1. In that range a booster accelerating it up to scramjet speed. But again, say if the wing drag will increase sixfold , it is still insignificant compared to the 36 times higher friction drag at match 6. Again! You are right with drag at high speeds, it goes not only linear in, it goes to square in the equation, with P = F*v going in to triple. So there is a maximum for a Scramjet missile, depending on thrust and aerodynamic. But cw changes from Mach 2 to Mach 6, it decreases. In the range above Mach 4 only slightly. Thrust is much higher in low altitude! You can read it in "Facing the heat barrier - A history of hypersonics". Heat occurs and is very high at Mach 4 - 6, but the Zirkon is flying only for a few minutes and is not intended to fly for hours over hours. There is a inertia in heat transport, giving enough time for Zirkon not to melt in seconds. Range is LOWER at LOW altitude. It's only 1/3 from available data. Paying to the effect being in lower altitude with higher density and flying not a ballistic path. So the whole thing is a bit more complex! The drag is higher at low altitude, but also the thrust is higher. The cw coefficient is more comfortable for a hypersonic missile to fly at Mach 3 and above, than at Mach 2. The "whole equation" has not 1 or 2 variable, it has much more. Singular_Transform wrote: But again, say if the wing drag will increase sixfold , it is still insignificant compared to the 36 times higher friction drag at match 6. An I-15 Biplane was used for testing of early ramjets and it succeeded in accelerating the aircraft to about 45km/h faster than the aircraft was able to fly with its normal engine alone... and I can guarantee that the I-15 is not supersonic. Ramjets and scramjets are more efficient at higher speeds but that does not mean they can't operate at lower speeds. Zircon is intended to fly at high altitude, but could fly at lower altitudes and at lower speeds... just like the ramjet powered Moskit can fly at higher altitudes at mach 2.5, or at sea level at mach 1.8. Very few things can fly faster than mach 2 at low altitudes... everything is effected by the thick warm air. The Zircon flys at mach 7-8 because that is what makes it safe. With airborne aircraft using radars a US carrier fleet wont be surprised by a sea skimming missile so the two solutions are stealth or fast... The Kh-101 and Kh-102 are stealthy and fly low and the Zircon and Onyx fly fast.. Zircon being three or four times faster than the Onyx it will replace. Detecting an incoming Zircon at 1,000km means you can turn on all your radars and SAMs, but at mach 8 it will be approaching at 2.5km per second, which means you have 7 minutes before impact. The simple fact is that in 7 minutes you wont have time to vector an aircraft to anywhere near an interception position unless they are already in the air and already in the right position... and even if they were what are they going to do to a missile passing 20km plus above them at 2.5km/s? Zircon will be a very potent weapon. 3. The wing drag at match 1 is not significant in the case of the zircon.However it is easy to found out. If we check the videos of the p-700/800 then we can calculate the ignition speed of the ramjet.If it is higher than match1 then the 700/800 engine doesn't generate enough thrust at low speed to push through the missile the match1. Ramjet : the engine has subsonic internal airflow, the compression done by the inertia of the incoming air. it works between 0,5-6 match, optimal speed is around 3.55-4 match. Outside of the optimal speed it become very inefficient. Scramjet has supersonic internal airflow. upper speed is restricted only by the energy content of the fuel. Works above 2-4 match. The engine in the SR-71 at its core is a turbojet but it allows air to bypass the turbojet engine. The turbojet is used to take off and for low speed flight but in flight at speeds faster than mach 2 it has very little air going through the turbojet engine... it is all bypass air acting as a scramjet. How do you know the new scramjets cannot operate with subsonic airflow as a ramjet? Ramjets and scramjets will operate at almost any forward speed and are very simple in terms of the number of parts they have. A rocket motor accelerates them to speed but it does not need to accelerate them to enormous speeds on a very long range weapon. GarryB wrote: The engine in the SR-71 at its core is a turbojet but it allows air to bypass the turbojet engine. Theoretically nothing prevents you to make any combination as you wish. However if you check the sr71 working then it the complexity of it is quite visible. A hybrid ram/scramjet should be as complex. Practically you can't test the scramjet in tunnel, all that you can have is fraction seconds test cycles from explosion like pressure waves. Means that to design a pure hypersonic engine is very expensive, needs rocket launches and so on, if it is combined with ramjet propulsion then the cost of development escalating on an exponential curve. Refer to photo posted above of I-15 biplane with two ramjets that operated at well below mach 0.5 and generated enough thrust to overcome their own drag and weight and accelerate the aircraft to a higher flight speed than was otherwise able to manage. Efficiency is not important if it is only flying at that speed for a short while. A scramjet is a supersonic combustion ramjet. There is no reason a scramjet needs a supersonic airflow through it to operate... it could operate as a ramjet at lower speeds. So then why does Moskit fly at mach 2.5 at high altitude and mach 1.8 at low altitude? Why also does the MiG-25 fly at Mach 2.83 at high altitude and 1,500km/h at sea level? A scramjet is a type of ramjet that allows the fuel to burn at supersonic speeds inside the airflow of the combustion chamber of the engine. The TSAGi have wind tunnels that operate up to mach 7, so why would they not be able to test scramjet engines in them? No it does not... current missile designs will use the cavity where the scramjet engine burns fuel for solid rocket fuel because it only has to work once. For an aircraft conventional turbofan engines can be used to get the aircraft into the air and climbing... as it accelerates it can increase the bypass air ratio until all the air is bypassing the turbojet section and you have a ramjet... increase speed and burn fuel supersonically and you have a scramjet... and you can keep accelerating as fast as the heat resistance of your aircraft and power fo your engines allow. Generating measurable thrust doewn't means that it can fly it on its own, and it can fly to a usable distance. So in the case of the jet engine / ramjet the internal combustion environment stable in the engine, the moveable cone is in the supersonic airflow only, and it can adjusted to keep stable the internal flow dynamics. in the case of the scramjet the engine has supersonic airflow, means that if the external environment ( speed, density, temperature ) chance then the internal geometry fo the engine has to change as well. And now here is the problem, there are tunnels for 7 -20 match airspeed, but these are not continuous flow tunnels, but more of a gun type equipment ,that generating a millisecond long burst of hot combustion product that can test nozzle cones, wings and so on. BUT to test the scramjet you need continuous airflow through the eninge, with the same composition like the air. And to test in this environment you need to make an engine, and shoot it out on the top of a rocket. Due to this it is very expensive and complicated to make working hypersonic design for ONE mass flow/parameter group, if the system has to work in different conditions ( mass flow,pressure, temperature) then the cost and complexity increasing exponentially. If you want to marry together the whole product with a ramjet then it will have a 20-30 years development time and 13 digit cost in $. Garry is right! There is a scramjet operating at 200 mph. Technical there is no problem to operate a scramjet subsonic. But on the other hand a scramjet built for hypersonic speeds will simply not work in subsonic area, or with very poor thrust. Thrust is multiple times higher, than in high altitude. cw value is from Mach 1 - 2 more uncomfortable, than above. speed is going in to square, so a slightly speed reduction has great impact. the range is really 1/3, due to higher fuel consumption. So it's really complicated! It's clear that at low altitude Zirkon is slower, but take a look at Garry's post! The Zirkon would not only be Mach 0,2 faster, than Moskit, if Zirkon has three times the speed of Moskit in high altitude!!! This makes no sense. At the end we will see in 1 or 2 years the real stats of Zirkon and not only speculation. Azi wrote: Garry is right! There is a scramjet operating at 200 mph. Technical there is no problem to operate a scramjet subsonic. But on the other hand a scramjet built for hypersonic speeds will simply not work in subsonic area, or with very poor thrust. Ok ,so I checked a brahmos launch video on the youtube. The ejector launched the missile with 2g , by using the missile length as indicator. The booster accelerated the missile visible faster than the ejector,for 5 seconds. Means that the RAMJET start around this speed - if it can start at lower speed then they install bigger fuel tank and use smaller booster. The moskit optimised for low altitude, supersonic speed. It hasn't got variable air intake, means that in higher altitude the air mass flow insufficient to increase the speed of it. The granit/onyx has variable air intake, so they can fly any altitude . However in higher altitude the effective range of them dramatically increased. Additional interesting information, the typical US spy radars on the burkes has a blind spot above the ship, around 45-50 degree wide. Actually, the feasibility of the scramjet to work in ramjet/subsonic range is easy. It is possible to calculate the mass flow / engine parameters for all conditions. That makes it possible to calculate require variable intake diameters . and the later is the restrictive element of the design. Perhaps detonation engine will go to Zircons? Can I use a detonation engine in hypersonic rockets? Successful tests of the so-called detonation rocket engines have yielded very interesting results. Experimental design work in this direction will be continued. Detonation is an explosion. Is it possible to make it manageable? 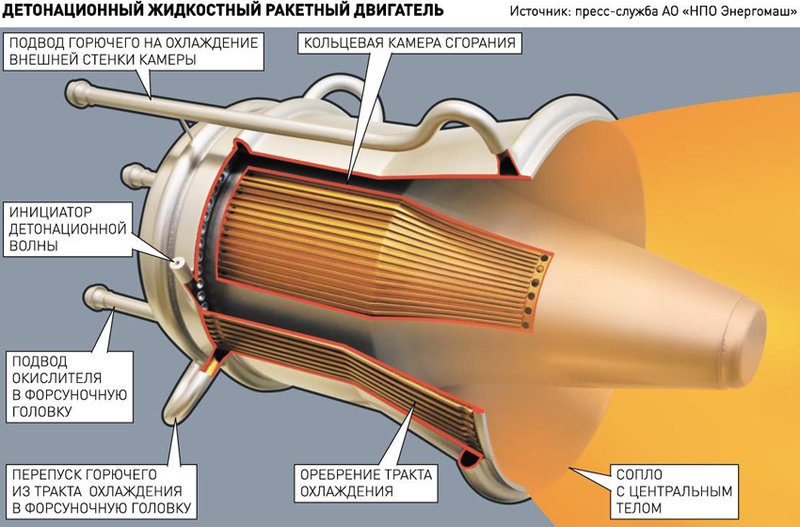 Is it possible to create hypersonic weapons based on such engines? Which rocket engines will take unmanned and manned spacecraft into near space? This is our conversation with the deputy general director - chief designer of NPO Energomash named after academician VP Glushko, Pyotr Levochkin. Peter Levochkin: And you can, and you need to. At least because the combustion of fuel in it is supersonic. And in those engines, which are now trying to create controlled hypersonic aircraft, subsonic combustion. And this creates a lot of problems. After all, if the combustion in the engine is subsonic, and the engine flies, say, at a speed of five mahs (one mah is equal to the speed of sound), one must counter the flow of air to the sound mode. Accordingly, the entire energy of this braking passes into heat, which leads to an additional overheating of the structure. And in the detonation engine, the combustion process proceeds at a speed of at least two and a half times higher than the sound speed. And, accordingly, we can increase the speed of the aircraft by this amount. That is, we are already talking not about five, but about eight mahas. This is actually achievable to date, the speed of aircraft with hypersonic engines, which will use the principle of detonation combustion. speeds and they are much more efficient at large speeds compared to Brayton cycle engines. Thats not just a pulse detonation, its a continuous detonation (something like the shock continuously circles round). For a missile it makes sense to use a one off solid rocket booster to get the missile moving and airborne, but ramjets and scramjets don't need supersonic airflow to operate. For a reusable aircraft you can't use solid rocket boosters... a normal turbofan engine can accelerate the aircraft to speed and height and then the nose cone could move forward and block off the air going into the turbofan so it only goes through the bypass section, which can then operate like a ramjet (SR-71) or Scramjet (nothing so far). The point is that for a long range missile its power to weight ratio is not going to be that good because it is probably carrying a lot of fuel to start off with. A solid rocket booster can accelerate and climb the missile to altitude, and the scramjet motor can then be started and run at medium throttle to accelerate and climb but not use too much fuel in the early flight stage where high speed is not that critical. Closer to the target where speed is more important a much higher throttle setting could be used including full afterburner for max speed at lower weights where the power to weight ratio means much higher speeds could be achieved and maintained. Intake is very interesting, thank you for posting.